So, you’re planning a wedding (congrats!) and you want something different than the norm. You want cool and modern, pretty but not fussy, a day that’s true to your style. 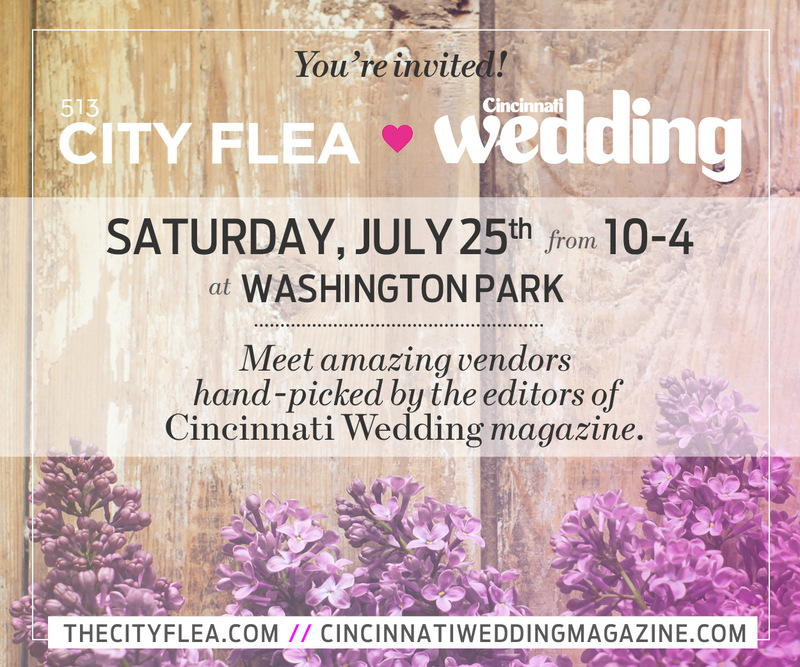 Take a walk down the Cincinnati Wedding Aisle at the July 25th City Flea, a specially curated market-within-a-market featuring vendors hand-picked by the editors of Cincinnati Wedding magazine. Explore your options and chat face-to-face with some of our favorite jewelry designers, bakers, florists, event planners, makeup artists and more! And be sure to stop by the Cincinnati Wedding booth and sign up for our newsletter to get a free copy of the Cincinnati Wedding Summer 2015 issue, on newsstands July 23rd.